Some thoughts on how to make emergencies more bearable. Emergency Fund Planning: My BEST find yet! Figure out if there is anything we can do to make our emergency fund work for us. We've been focused on growing our emergency fund for a few years, so we've been able to save up a decent amount. I was interested to see if we could do anything with it, but had one major concern - whatever we did with it, our emergency fund had to remain available in case we needed it. I was skeptical that we could find something that hit all our needs. I am SO happy to say that Allison Gagni of Gagni Asset Management was able to prove me wrong! Allison recommended we set up a Brokerage Account to grow our emergency fund. She describes it in further detail below, but if you're anything like me, reading about money and investing can be a little overwhelming. One of the BEST pieces of financial advice I received from my parents was to find a financial planner I trusted and sit down with them. I was able to describe what I have, what I want, and what I'm concerned about. Allison made this whole process easy, approachable, and - I never thought I'd say this - ENJOYABLE. While this was the best fit for my family, your financial planner may have some other ideas - even if you work with Allison (which I'd highly recommend), she may recommend a different product based on your situation. But, I was SO excited about the solution Allison found for us that I asked her to write up some information about it. So, without further ado, I present the BEST emergency fund solution I've found yet! A Brokerage Account is a type of account you open with a brokerage firm. While there are different types of accounts you can have at a brokerage firm, we are going to focus solely on individual brokerage accounts today. Similar to an individual account at your bank, an individual account at a brokerage firm offers no tax benefits. You can deposit funds at your discretion & your money can then be invested in different types of securities. You can open an account with or without the help of a professional; it really just depends on your individual needs and experience with markets. Below I’ll go over how they work, what benefits they have, and what you need to get started. The biggest benefit these individual accounts have is the freedom & flexibility that comes with them. Everyone is eligible to open an Individual brokerage account! You are not bound by contribution limits, earned income thresholds, or distribution timeframes like you are with retirement accounts. You can deposit and withdraw, however much and whenever you want. You are also free to invest in whatever securities you like - stocks, bonds, exchange traded funds, or mutual funds. Keep in mind, if you reallocate some of your savings into a brokerage account, it can potentially earn more than what it’s currently earning at the bank. Another great feature is they have a plenty of liquidity. Liquidity means you can access the funds easily and immediately, with no cost. As a comparison, a house cannot be converted to cash quickly, a bank CD can charge a fee if you need access to your funds before the maturity date, or even retirement accounts have a 10% tax penalty if you make a withdrawal before age 59 ½. With many advances in the industry, as well as our cultures desire for instantaneous results, firms will even offer a debit card or checkbook linked to your account for easy access. Accessibility is SO important when working with your emergency fund. You need to be able to access your funds if and when you need them! When opening an individual brokerage account, you will need to decide if you want a margin account. This means you have to ability to take a margin loan that allows you to borrow funds at a specific rate. You can use that borrowed money for a multitude of reasons – investing more in securities, expanding your business, or for personal use. What’s great about this feature is the borrowed amount can be working and actively invested in the market! This could be a great way to leverage your money by taking advantage of the competitive margin rates. As an example, we’ve structured clients accounts to take advantage of low rates in order to pay off their higher interest bearing debts. This allows clients to save money on interest while participating in the market at the same time. With all the benefits of margin borrowing, it is still not for everyone. It increases your market risk so it is important to understand your financial situation or consult with a financial professional before implementing a plan. It goes without saying the first thing you will need is cash to start funding your account. If you don’t have much, don’t be hard on yourself- everyone has to start somewhere! Many firms in the marketplace offer low minimums so you don’t have to wait to build up capital before opening an account. If you prefer DIY, you can open an account with a major online retail brokerage firm i.e. Etrade, Charles Schwab, Interactive Brokers, or TD Ameritrade. Each firm will have competitive rates and features so make sure to do due diligence when selecting which would be a good fit for you. If you are looking for professional guidance or have more questions, my information is listed below. Exchange Traded Funds (ETF’s) and Mutual Funds are sold by prospectus. Please consider the investment objectives, risks, charges, and expenses carefully before investing. The prospectus, which contains this and other information about the investment company, can be obtained from the Fund Company or your financial professional. Be sure to read the prospectus carefully before deciding whether to invest. Investing in securities involves risk of loss that clients should be prepared to bear. The value of investments, as well any investment income, is not guaranteed and can fluctuate based on market conditions. Past performance is not a guide to future performance. In early January, a five-week-old kitten wandered into our front yard. With no neighbors claiming her as their own, we decided to adopt miss Lucy! Although she's a bit of a handful (as in my hands are full of scratches), we love her dearly and are so excited she's a part of our family. As an important family member, we want to make sure Lucy is safe and taken care of. Part of that is making Lucy a Bear Bag (Momma Bear's version of an emergency kit). No matter how many people or pets in your family, Momma Bear encourages everyone to have their own Bear Bag. This way, each Bear Bag can be customized to exactly what each person or pet needs. Plus - every Momma knows that if it doesn't have its own home, she will end up carrying it! Here's what we've included in Lucy's Bear Bag, with links so you can build your own kitten Bear Bag. Ok, so this may not technically be IN Lucy's Bear Bag, but it's definitely an important aspect of it! We found Sleepypod when looking for a top of the line car harness for our Corgi, Carlton. At first, I didn't understand why a harness company would be called Sleepypod. Now I get it! The Sleepypod Mobile Pet Bed has a removable mesh top to be used daily as Lucy's bed (we even opted to get the extra heating pad - yeah, we're total suckers for our pets). When it's time to go to the vet, we zip the lid back on, and away we go! On top of how cute the carrier is, I absolutely love how thoroughly it has been tested in car crashes. Although we don't take Lucy in the car as often as we take Carlton, we are coming up on a 1,500-mile road trip for our move from Texas to Virginia. You can learn all about Sleepypod's safety tests, features, and awards by clicking here. So, you can definitely buy disposable litter boxes (like this one - $4.79) or "travel" littler boxes (like this one - $19). Personally, after spending $$$ on Lucy's mobile pet bed, I am not looking to spend more money than I need to on her back up litter box. We go super economical and pick up a foil pan at the grocery store (approximately $1). If you must buy online, you're probably looking at getting a pack of 20+ pans. This 30 pack is only $15.99 - only $0.53 per pan! If you're a chef, just stick one or two pans in with your kitten's Bear Bag & call it good. Yup, just like at home, your kitten will need litter in her Bear Bag. 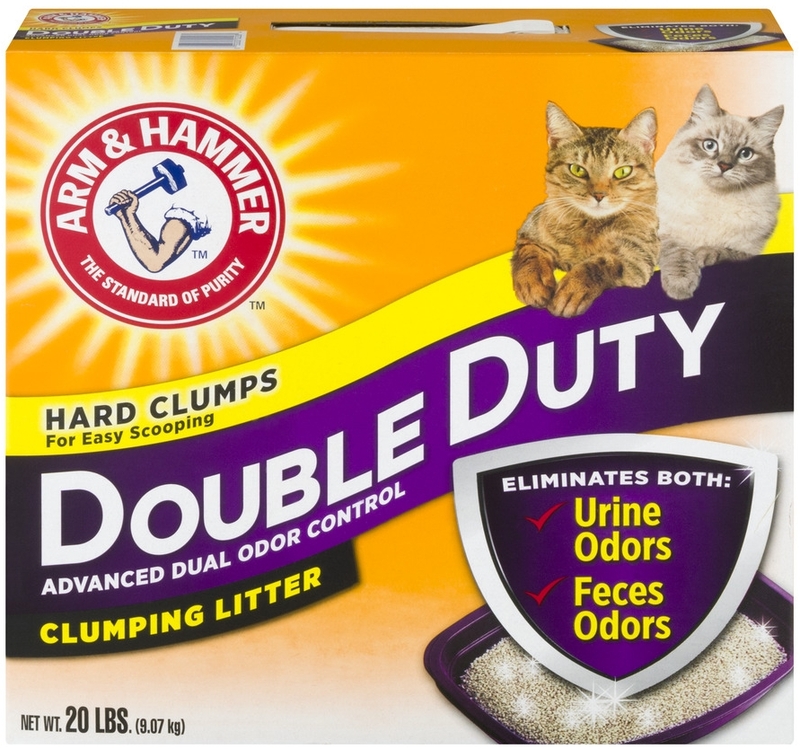 We really like the Arm & Hammer Double Duty Litter, but just make sure you have some extra of whatever type of litter you prefer. We typically get the 40-pound box for everyday use, but for Lucy's Bear Bag, we're going with a smaller, lighter box (20 pounds for $7.78). I prefer this to pouring some of the 40-pound box into a separate container because the litter stays securely contained in the box, even if it tips over and the handle makes it easy to carry. Since switching up food can be hard on your pet's stomach, Momma Bear recommends sticking with the food you're currently using. Our pet food typically comes in gigantic bags - not exactly ideal for a Bear Bag. Check to see if you can get a smaller bag just for your Bear Bag. This will help to keep your kitten's food fresh for as long as possible. If you can't find a smaller bag, scoop at least enough food for three days into a ziplock bag. Your kitten likely won't need the gallon of water per day recommended for people, but let's not make this more complicated than it has to be. Plan on having a gallon per day available for your kitten - it goes faster than you'd imagine. Now, it's relatively easy to find a container to use for your kitten's food and water in a pinch. We've used plates, cups, bowls - whatever is available. 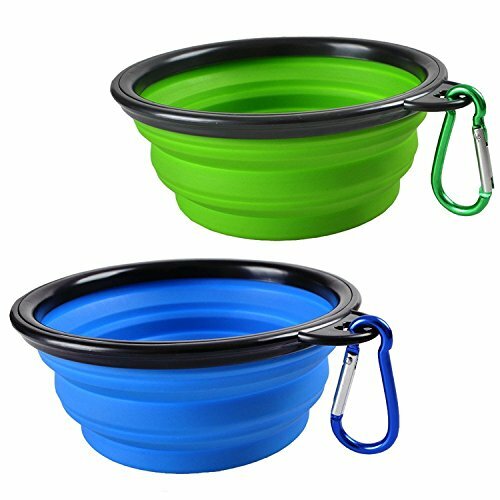 If you're looking for something cute, or you plan to use your bowls relatively often, these collapsible travel bowls are super convenient. They collapse when not in use, so they take up little space, and the carabiner allows you to keep them clipped to the top of your Bear Bag for easy retrieval. If you need to stay somewhere outside your home or if your kitten needs to unexpectedly stay in a kennel, you're going to want the most recent copy of your vet records easily accessible. Personally, we keep Carlton & Lucy's vet records in with all our other important documents, in a large accordion file folder. You may want to keep your kitten's records in her Bear Bag with the rest of her stuff. That's really just a personal preference - the point comes down to that you have a record of all her shots and can prove that she's healthy enough to be allowed to stay where she needs to. Pack a few toys and a blanket or old towel in your kitten's Bear Bag. These don't need to be anything special, but these items can provide a lot of comfort in a difficult time for your kitten. That wraps up what we've got in place for our little Lucy girl - anything we forgot? What do you have in your kitten's Bear Bag? A special blog post for new (and experienced!) parents on planning for your child's financial future by Brittany Fisher of financiallywell.info. Brittany worked for more than two decades as a Certified Public Accountant (CPA) and is in the process of writing her first book! In this post, Brittany shares some important financial planning tips, including saving for that emergency fund. Thanks Brittany for sharing your knowledge with us! "When you become a parent, there are so many things to consider: pediatrician, diapers, swing, crib, car seat, stroller, child care, general safety, and so on. But, one other area of consideration that new parents should take into account is planning for their child’s future. One of the best things new parents can do for their child is to plan ahead for financial security. While you can’t stop bad things from happening, you can prepare yourself financially for the unexpected. You should have at least six months’ worth of living expenses put aside before you start funnelling large sums into your child’s college account. This will keep you afloat in case you lose your job, which, as a parent, is a real emergency. Invest in whole life insurance. This may cost more each month but whole life products can be converted to cash if you need it and won’t expire or experience rate increases with time. Nerdwallet offers this life insurance calculator to help you determine how much you need. Working a temporary second job and cutting unnecessary expenses are practical ways to build your emergency fund. College tuition will be much more expensive in 18 years than it is now so start saving when your child is born. It’s a good idea to open a savings account with some or all of the money you receive from friends and family at baby showers, in cards, etc. Because the money is intended for the child, you should ensure it goes to him by starting a college savings plan or other savings account with it. The trick is to choose the right sort of account so that your child does not miss out on financial aid or owe taxes when he enrolls in college. In most cases, colleges determine financial aid based on income and assets from the student’s junior year in high school, so students with large savings accounts in their names frequently lose sizable amounts of financial aid. The three best ways to save, therefore are 529 college plans, UGMA and UTMA accounts, and Roth IRAs. 529 College Savings Plans - Like a traditional IRA and 401(k) plan, 529 college plans give parents a vehicle for saving for their child’s education in a tax-free way with several investment options. Parents may choose aggressive investments when their children are young and then switch investments to more conservative options when the child is nearly college age. Gains on 529 college savings plans are tax-deferred, so when the funds are used to pay for appropriate tuition expenses, parents don’t pay taxes on the funds. Keep in mind that 529 plans belong to parents and may be used for undergraduate or graduate studies at any accredited two-year or four-year program in the United States. UGMA and UTMA Accounts - In the case of the Uniform Gift to Minors Act (UGMA) and the Uniform Transfer to Minors Act (UTMA), the first $1,000 in gains is tax-free, the second $1,000 is taxed at the child’s income tax rate, and the remaining portion is taxed at the parent’s income tax rate. These savings accounts don’t have any restrictions on how the funds are used, as long as they directly benefit the child. Roth IRAs - One final option is opening a Roth IRA in the child’s name. Kids over the age of 18 gain control of the account, but money cannot be taken out of the account without penalty until the age of 59.5 years. Exceptions allow for early withdrawals for qualified education expenses or hardships due to disability. Once you have a child, you need to make sure that your own financial and property affairs are in order. Ensure you live in a home and neighborhood where your child can grow and thrive. Take steps to protect them financially by paying down your debt and drawing up a will that includes designating a guardian for your child in the event of your death. A lawyer can help you determine what to include in the will and choose an executor that will make sure your final wishes are carried out as you wanted them to be. Of course, banks and financial advisors are great resources for new parents trying to determine the best ways to secure their child’s future. Lawyers also can help with drawing up wills and creating other legal documents to make sure your children get the inheritance you wish them to have. It’s never too early to start securing your child’s future. New parents should decide which savings avenue to pursue, get their affairs in order, and seek professional advice as needed to make sure they are setting up their child for success." How Your Donation Can Make The Greatest Impact! We see the greatest parts of community following a disaster. Differences are put aside and everyone works together for the greater good. It's the most beautiful side effect of a disaster. I absolutely love the unconditional acceptance and selfless actions of others we see; I wish we could bottle this attitude and keep it around forever. During this time, people across the country want to help. Please do, and make sure you and all your friends know how to make sure your donation makes the greatest impact! It's not impersonal and it's not a cop-out. Donating money is the absolute best way for 99.9% of Americans to help after Harvey. That $20 you send to the charity of your choice will combine with everyone else's donations to make a HUGE difference. Your money can turn into a hot meal, a safe place to sleep, medical care, *NEW* clothing and shoes, baby supplies - literally WHATEVER is needed. Some employers will also match your donation. Check to see if you can do this to easily double your impact! Unfortunately, people do take advantage of disaster situations and you need to make sure your money goes to the right place. The American Red Cross is always one of the first charities people think to donate to following an emergency. Momma Bear's personal favorite is Direct Relief International. There are lots of stellar organizations out there doing incredible work. If you want to donate to an organization, do some research on it! A super quick search on Charity Navigator will let you know if it's a reputable organization (Direct Relief has a 100/100 score on Charity Navigator... just sayin!). Be wary of Go Fund Mes and requests to send money to individuals. Some of them are legitimate and will use your donation appropriately. However, it's just as easy for someone to pretend to be something they're not and steal your money. Still want to donate your clothes? Have a garage sale, promoting that all proceeds will go to Harvey relief . Or, donate to your local Goodwill or Salvation Army. They'd love to take your winter coats and high heels and chandeliers! There are instances where a specific item is needed. I've seen a number of these requests coming from Hurricane Harvey. If you're getting a request for specific items (such as cat and dog food from the local pet shelter), go for it! One hundred percent donate items that are requested. If I'm in need of a toothbrush, and I ask you for a toothbrush, I'd love it if you give me a toothbrush! If I can find my own toothbrush, but you still give me a toothbrush (or worse, you mail me 100 toothbrushes), the impact is going to the wrong place. What are some of your favorite ways to donate after a disaster? Any tips I missed? Stay safe out there, and go do good. How you can always be the first to know! There's something about finding out about something first. Back in high school, I remember thinking a band was super awesome if no one else knew about them. Now, I love sample sales, which are all about being the first to know - the deals! I can't handle it!! Another thing I like to be aware of early and often is what's happening with my weather - especially any tropical activity that might impact me, my family, and friends. Being in the military, those groups are spread out all over the country, and it seems like there's always something going on! These are my tried and true resources for staying in the know about what's happening in the tropics. The National Hurricane Center is my go-to spot for what's happening (and could be happening) in the ocean. They cover both the Atlantic and Eastern North Pacific oceans, and their information is straight-forward and easy to understand. They give both 2-day (shown in the image above) and 5-day forecasts. Once a storm has developed, clicking on the storms icon will give you lots of information. I like this resource because they don't bother me with unnecessary information; I'm not going to see a bunch of spaghetti lines that can cover hundreds of miles. I'm going to see up to date information coming from the most reliable sources. Win! Website, where you can sign up for the email listgroup! Ok, nothin' fancy with this resource, but it's SO CONVENIENT. The Alachua County EMWIN Project sends out free emails with important news regarding tropical weather. They give lots of information in their email, but also have a quick snapshot of the main point at the top of the email (in my snapshot above, that Hurricane Gert grew to a Category 2 storm). I love these emails, and it helps me know when something is actually developing, rather than going to check the National Hurricane Center when I remember to. Note: the information provided here is for the national office. If you want help locating your own office, leave a comment below! So, the National Weather Service is a good source in general, but I LOVE my local NWS office. The Corpus Christi NWS team sends out emails with weather details (beyond just tropical weather) and how it will impact our direct area. When tropical systems hit north or south of us, they let us know what we can expect here (usually higher than usual waves, tides, etc.). They also typically use the 5-day weather outlook, which I actually prefer (if I need to evacuate, I want to know as far out as possible). Plus, the email is just SO CONVENIENT. This service may or may not be available from every NWS office; if you're interested in finding out, you can find your local NWS office here. This resource is for those of you who want more. They are awesome at giving all kinds of information. They do share the spaghetti lines, but also add additional markers on National Hurricane Center and other productions to make them even easier to read and understand. They're very active on Facebook, so it's an easy way to stay connected. These are my favorites, and I hope you like them too! Any favorites of yours that I missed? I love cleaning. For me, it's incredibly therapeutic. The worst part about cleaning? It doesn't last. Within 5 minutes, the floor is covered with dog & cat hair, the sink is filled with dirty dishes, and life goes on. Sometimes, I wish I could have an excuse to take a picture of my beautiful kitchen or closet. So, I found one! Whether you also love an especially satisfying clean, or you absolutely loathe cleaning, I bet you still know where everything is. But could you prove it? A Home Inventory is a record of your belongings. It can be incredibly useful during a move and absolutely indispensable if you're trying to rebuild your home after it has been damaged. Anyone familiar with moving knows that it can be incredibly stressful, especially if your grandmother's heirloom kitchen table shows up at your new home with a huge scratch down the front, or that huge TV your husband just bought no longer works. A Home Inventory can help prove the pre-move condition of your belongings and assist you in getting full value for your damages. If you're forced to rely on your homeowners or renters insurance to replace your belongings after an emergency, your Home Inventory will be your best resource to ensure you're not forgetting to claim anything (even if you've got a great memory, the best of us can forget critical things during stressful times). So, how do you put together a Home Inventory? For those of you like me, pick a room to start in, and CLEAN! If you don't like cleaning, feel free to skip this step. Even if you do like cleaning, but just don't have time, don't worry! These pictures aren't going into a magazine or on a social media; it's more important that you actually take a record of your belongings than they be 100% clean. Take pictures and/or video of each room in your house. Be sure to open drawers & closets. Be sure to turn all your electronics (computers, TVs, sound systems, etc.) on & off to prove they work. Take pictures of serial & other important identification numbers. Be careful to document anything of especially high value, like jewelry, wedding dress, etc. Back up your work! Momma Bear HIGHLY recommends using an online cloud service to keep your inventory safe & easily accessible, no matter if you lose your phone or computer. If you don't already have an online cloud service, try out Dropbox for free. You can seamlessly access your files on any web browser, on your computer, and on your phone! If thinking about this is overwhelming, here are some tips to make it easier. Download Momma Bear's Home Inventory template to help you keep track of what rooms you've completed & the corresponding dates. A quick app search on your phone will show you a WHOLE range of other products that allow you to go incredibly in depth with your inventory. Momma Bear developed this template to specifically avoid going too far in-depth; it's really easy to get sucked into the details of a project like this when you really need to be looking at a higher level. I've got too many other things to do with my day than identifying exactly how many mason jars I have and the specific days I bought them. This template allows users enough detail to complete their home inventory without capturing unnecessary details. Don't try to do your whole house at once! Focus on one room per day, weekend, month; whatever works for your schedule. Hire someone to help! Professional organizers exist, and they are AWESOME. Check out my personal favorite organizer, Ms. Placed Professional Organizing! Hey! Check out Momma Bear's first video! It's got some fun insights into who is behind Momma Bear EP and what started it all. Enjoy! Even though she was a month & a half early, Tropical Storm Arlene came & went last week without much notice (kinda like the last couple seasons of Greys Anatomy - don't get me wrong, I love me some Greys, but seriously ANOTHER plane episode?!). So, what does having a tropical storm this early mean for those of us along the gulf and east coasts? Launching a Dream, and a Discount for our Besties!